As with any health condition, there are many rumors and myths which do not lead to the best medical outcomes. Our doctors have put together a quick list of items you will want to make sure you clarify if you believe you might be suffering from cataracts. Take a look below and feel free to let us know if you hear of any other commonly held beliefs about cataracts you might suspect may be incorrect. Myth #1: The best time to have cataract surgery done is when it is first diagnosed. 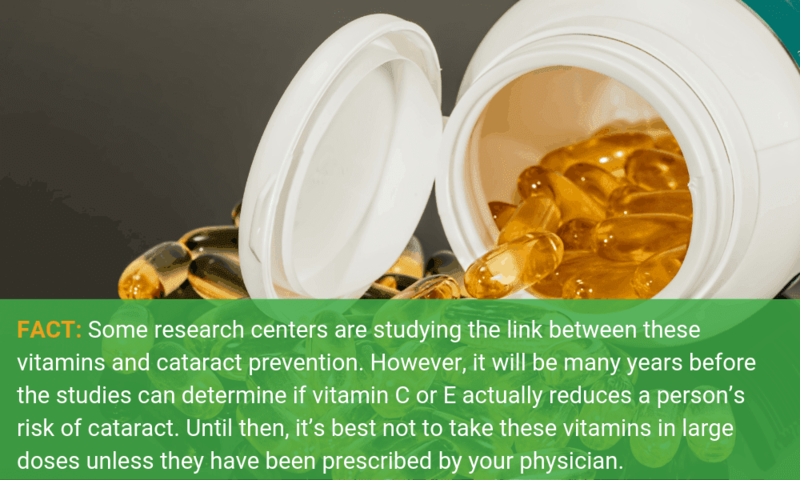 Myth #2: Taking Vitamin E or Vitamin C can prevent cataract. 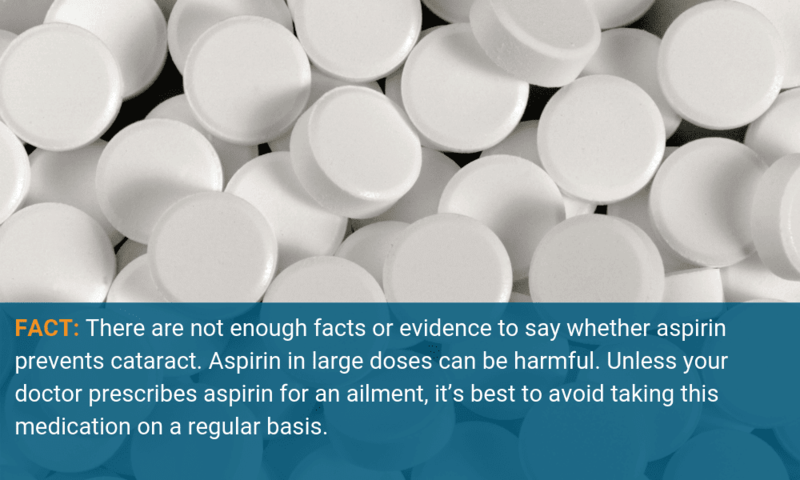 Myth #3: Taking aspirin can prevent cataract. 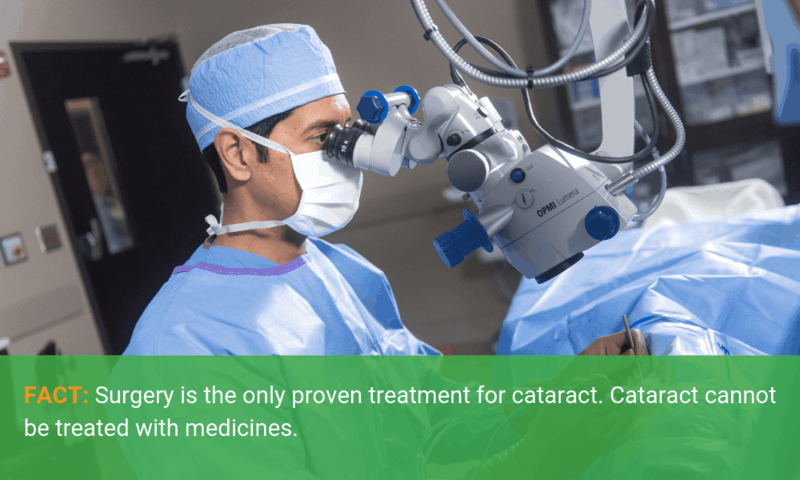 Myth #4: Cataract can be treated with eye drops. 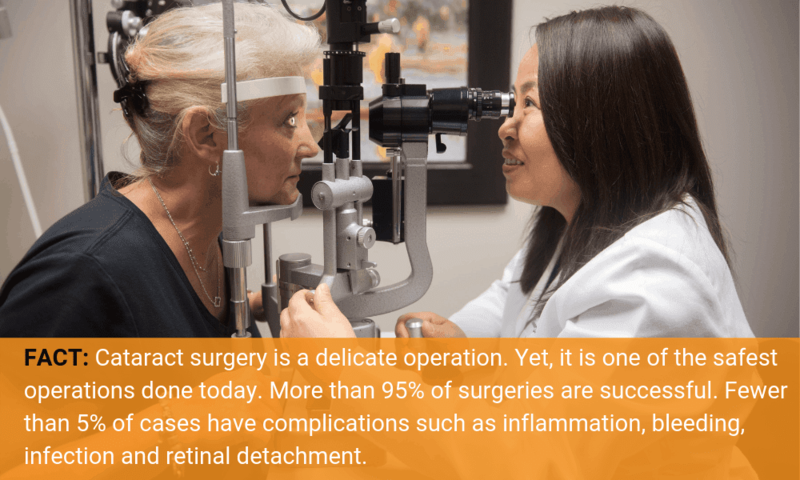 Myth #5: Cataract surgery is dangerous. 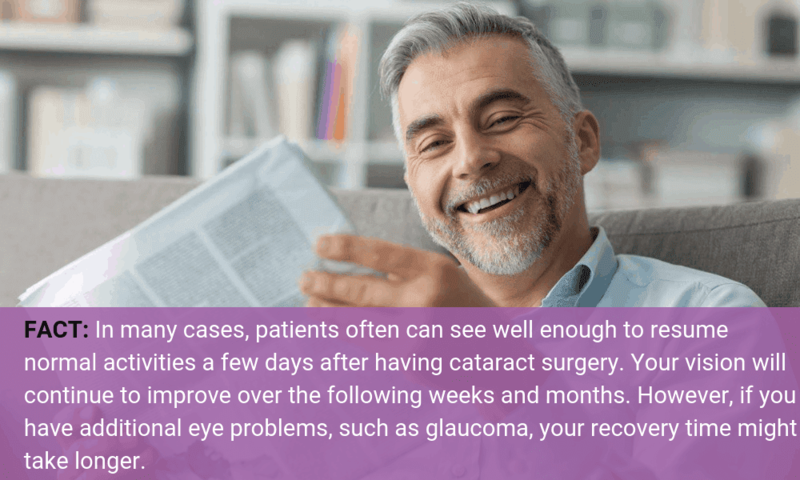 Myth #6: It can take months to recover from cataract surgery. 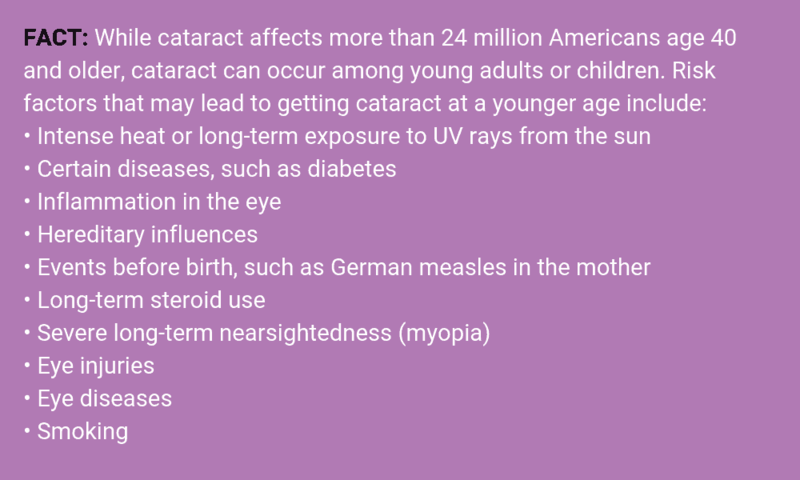 Myth #7: Only older Americans develop cataract. 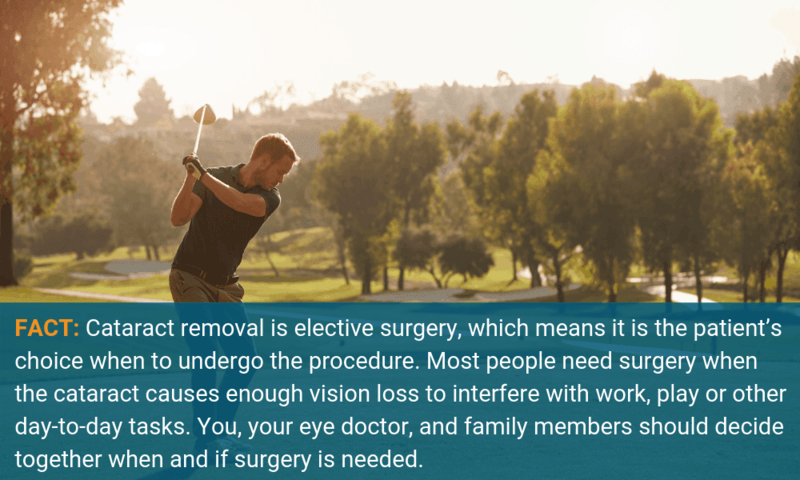 Should You Use Laser Technology in Your Cataract Surgery?